President Trump to issue executive order requesting mental health coverage for a 12 month period for all service members as they leave the military, administration officials say in briefing. “We meet people who have nothing, living on the street, no income, not connected with family, battling addiction, just really going through a tough time. I know how instrumental social work can be to get someone’s life back on track.” – Natosha LaCour, Social Work Supervisor. Michael E. DeBakey VA Medical Center social workers are involved in nearly every aspect of Veteran care. Social workers are a diverse group, ranging in specialties from mental health counseling to housing homeless Veterans. Many people think they just do discharge planning, but social workers are looking for resources as soon as the Veteran walks through the facility door. Mullin is pictured above providing trauma therapy to a female Veteran. One of the things that make social workers so valuable is their network of resources. Another is their ability to provide mental health counseling. In fact, they make up the largest group of mental health providers in the country. 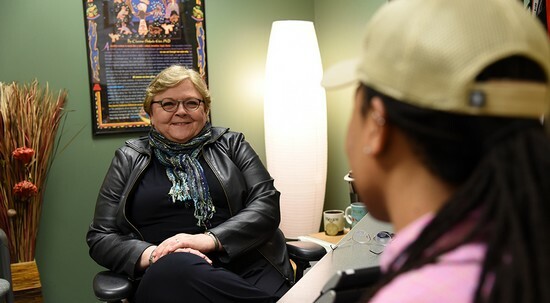 Mullin, who has more than 30 years of experience in mental health, said that social workers look past the diagnosis, digging deeper to find the root of the problem. For social workers, it’s about getting to the root of the problem so that the person can make real progress and sustain the results. LaCour, who has worked in several areas of the hospital, said her time in Homeless Services impacted her the most. Helping Veterans rediscover themselves, find a place to live, get a job, and pay their rent gave LaCour such a sense of service. For Mullin, it has been her work with trauma survivors that has been the most impactful. Social work allows for many of these types of career moments. It’s a problem solver’s dream. The new VA Deputy Secretary nominee brings significant experience as Lockheed’s former counter-intelligence legal chief and head of privacy. What does this mean for internal agency policies and processing Veterans’ benefits claims? How about whistleblower allegations? Is the agency working hard to root out wrongdoing in its higher levels of management or is Byrne overseeing implementation of an agency dragnet? With his background, folks should be asking lots of questions. But, not much has been said about the senior attorney running most of the agency. Most of the press failed to even make note of his nomination to run the Office of General Counsel two years ago. Why? 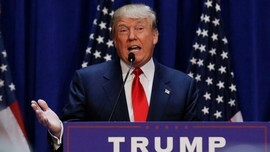 James Byrne, President Donald Trump’s nominee, as of Friday, previously served two years as the agency’s head of the Office of General Counsel. His previous roles in the public sector span over 20 years and include working at the Office of Special Counsel and as a DOJ prosecutor in international narcotics. Byrne served as a Marine infantry officer after graduating from the US Naval Academy with a degree in engineering. Senator Johnny Isakson (R-Ga) seems pleased with the agency’s selection of Byrne for this role. Before Byrne, the role was held by one of Sen. Isakson’s former staffers Thomas Bowman. Again, with Byrne’s background, it seems curious that no one in the MSM has written about his assentation within the agency over the past two years. No one wrote about his nomination as of today, either. Why is that? Why is everyone closed lipped about Byrne’s work at the agency? Below is the full excerpt from Sen. Isakson’s page, in italics. U.S. Senator Johnny Isakson, R-Ga., chairman of the Senate Committee on Veterans’ Affairs, responded to President Donald J. Trump’s intent to nominate James Byrne to be deputy secretary of the U.S. Department of Veterans Affairs (VA). 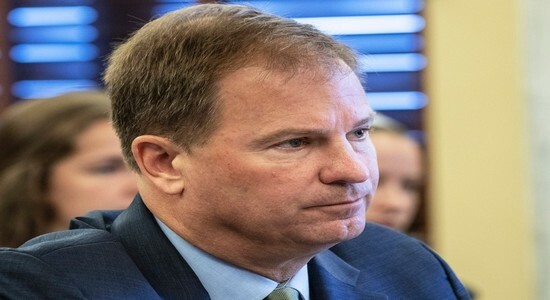 Byrne was named acting deputy secretary of the VA in August 2018, and on Jan. 14, 2019, he became the VA’s general counsel performing the duties of the deputy secretary. He was confirmed as VA general counsel in August 2017. The deputy secretary is the VA’s chief operating officer responsible for working in tandem with the secretary to oversee the VA’s nationwide system of health care services, benefits programs and national cemeteries for America’s Veterans and their dependents. Prior to joining the VA, Byrne served in Lockheed Martin Corp.’s legal department as the chief privacy officer and lead attorney for information technology, cyber security and counterintelligence. Byrne has more than 20 years of experience in the public sector, including service as a deployed Marine infantry officer and a U.S. Department of Justice international narcotics prosecutor. Byrne is a distinguished graduate of the U.S. Naval Academy, where he received an engineering degree and ultimately held the top leadership position of brigade commander. The Senate Committee on Veterans’ Affairs will hold a hearing on Byrne’s nomination after his nomination paperwork has been completed and submitted to the committee. WASHINGTON — The Department of Veterans Affairs has reassigned an employee after whistleblower complaints outed delays and miscommunications at an Indiana facility that left a Veteran untreated, leading to the amputation of his leg. “Nine times out of 10, he's been probably going to stay with the people that he knows and the community he knows … The pull of the culture on people to be where they share experiences with others is very different from any other segment of the country. The new ruling, among several precedent opinions set to be included, reinforces the VA's long-standing opinion that obesity isn't a disease or injury according to the law for wartime or peacetime compensation and can't be considered directly related to military service for compensation purposes. So why does the VA reject obesity as a service-connected disability if Medicare covers obesity treatment and the Centers for Disease Control and National Institutes of Health both say obesity is a disease? 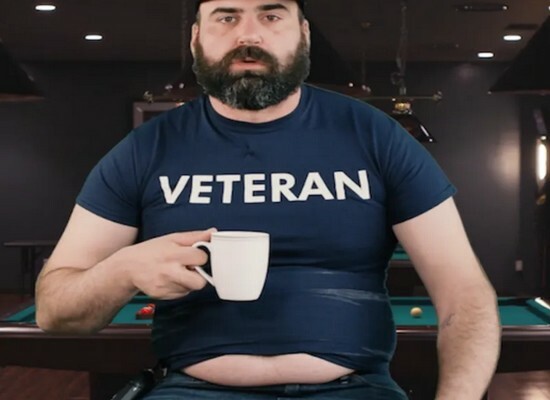 While the VA treats obesity as a disease for which treatment is warranted, the distinction is in the words "service-connected." The VA simply does not see it as a condition that was a result of military service, and therefore for which compensation is payable. The VA estimates that 78% of Veterans are obese, and it does offer several treatment programs for obese Vets. However, the new opinion means it won't pay compensation for it anytime soon. But the determination could be a good thing, at least for the current force. We all have heard of people getting kicked out of the military for being overweight. This ruling by the VA means that obesity can't be considered willful misconduct when making line-of-duty determinations for other disabilities. And blocking it as a service-connected disability doesn't mean that it isn't what's known as an "extra-schedular rating," or a rating that can be tagged onto an existing disability, the General Counsel has ruled. For example, you may be rated 40% because of Agent Orange related diabetes but the diabetes may cause obesity so you may be able to get an extra-schedular rating and increase your disability to 50%. Also, obesity may be so bad that it has life-altering consequences. That may be considered when determining an overall rating if there are other qualifying disabilities. It may be considered an "intermediate step" between a non-service-connected and service-connected disability when considered with other disabilities. In their ruling, the lawyers said that since obesity "occurs over time and is based on various external and internal factors, as opposed to being a discrete incident or occurrence, or a series of discrete incidents or occurrences," the condition may be reversed by treatment before it becomes disabling. So while obesity can, and should, be considered a disease since it is a treatable condition that results in other, more serious health conditions, it shouldn't be considered a disease when you are trying to blame it on your military service. A botched change in the way home-care visits were scheduled for patients released from the Veterans Affairs Medical Center in Indianapolis resulted in a Veteran losing part of his leg, according to a copy of an investigative report and letter to the president. The letter to President Donald Trump said a Department of Veterans Affairs investigation prompted by three whistle-blower complaints revealed "a system breakdown because leadership attempted to implement the change without collaborating with key services or allowing time for coordination and education." The letter is from Henry J. Kerner of the U.S. Office of Special Counsel, an independent federal agency that looks at whistleblower disclosures and helps protect them from retaliation. 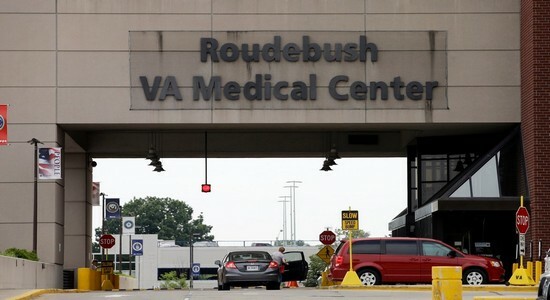 That breakdown resulted in delays in the care of Veterans, the investigation found, including one man discharged from the Indianapolis medical center in 2017 after receiving treatment for diabetic ketoacidosis and an ulcerated foot abscess. Because of delays attributed to the new process, the letter said, "the Veteran did not receive the necessary home health care." The letter explained the VA investigation determined the man's wound "became infected and required below-the knee amputation due to the delay in receiving dressing changes" from a home health care provider. The names of the Veteran who had part of his leg amputated and the three whistleblowers are not revealed in the report. The report focused the blame for the problems in 2017 on the then chief and assistant chief of social work services at the medical center. They are not named in the report, which also notes the center has since updated and implemented new procedures "for monitoring consults and post-discharge follow-ups." The problem began in March 2017, according to the report, when the chief of social work services "directed that social workers should no longer enter" orders for home care into the patient records system because the process required the inclusion of medical information that is outside the scope of practice for social workers. The investigation substantiated allegations that "this decision led to a system breakdown, as the transition was not implement with key services in a collaborative and cohesive manner, allowing time for coordination and education." There was no quality assurance mechanism in place to verify whether the new practice was working. There was a lack of assigned nursing staff to support the rollout of the pilot plan, and no contingency plan to deal with staff absences. There was inadequate social work and nursing staff to provide appropriate and timely processing of consultation orders. The situation, according to the report, resulted in a "delay in Veterans receiving home health care ..."
One of those Veterans was a man admitted to the medical center in the spring of 2017 with a diagnosis of diabetic ketoacidosis, and ulcerated foot abscess and sepsis. Medical records reveal that when the man was released, he required home care assistance with twice-daily wound dressing changes. But that care did not occur. "The worsening infection," the report stated, "leading to osteomyelitis (infection of the bone) and subsequent amputation appears to have been related to the delay of the dressing changes by the home care agency." The report said investigators found other cases in which care was delayed, but none involving "evidence of negative clinical outcomes such as readmission, higher levels of care, or hospitalization." Still, investigators determined "the lack of coordinated care from the inpatients and outpatient setting pose a risk to public health and safety at Indianapolis." 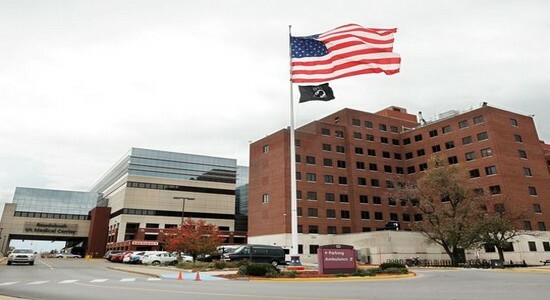 The Indianapolis medical center received three stars out of a possible five in a Veterans Health Administration year-end rating for 2018, which noted a small improvement from a 2017 baseline score. In the past, I have talked to you about the VA Duty to Assist law, and how I think it’s largely, well, nothing to write home about. That was the Duty to Assist under the Legacy Appeals process. Now, under the “modernized” appeals process, we are getting a new version of the VA Duty to Assist law. Call it the Duty to Assist 2.0. Or, the Diet Duty to Assist. Whatever you call it, the VA talked Congress into making them do even less for Veterans than they currently do. If that is even possible, am I right? Okay, all kidding and obligatory mockery of the VA claims and appeals process aside, there have been some significant changes in the VA Duty to Assist law now that the AMA – or modernized appeals process – has gone into effect. Before we dive into the new, modernized VA Duty to Assist law, let’s take a quick look at the new, modernized, appeals process. This graphic comes to us courtesy of the VA itself. Review it, and you tell me if you agree: it IS possible to invent a more complicated Hamster Wheel. If you want to see how the VA describes the appeals options under the AMA Modernized Appeal process, take a look at this very thin description from the VA.If you prefer a little more meat on your plate, subscribe to the Veterans Law Blog and I’ll keep you up to date on the newest developments and changes in the modernized AMA appeal process. So, that’s the process. In a nutshell. This is not the first – or the last – time I will talk about this process. For all the work that went into simplifying VA appeals, the process got one helluva lot more complicated for Veterans trying to navigate this system. What I really want to talk about in this post is the Duty to Assist, in modernized appeals. The AMA “Modernized” Duty to Assist. The changes to the VA Duty to Assist law were instrumental to making sure that the VA appeals process became easier for the VA and BVA. You see, a lot of time was being spent helping Veterans and survivors gather evidence, and not enough time was being spent adjudicating claims and appeals. At least according to the VA. The VA Duty to Assist ONLY applies during an original or supplemental claim. Once the VA issues a Ratings Decision on a original or supplemental claim, the VA no longer has a duty to assist the Veteran in developing evidence to substantiate the claim. The BVA has NO DUTY TO ASSIST you. If the BVA or CAVC identifies a “prejudicial” duty to assist error, it can remand the appeal to the VA to cure the failure to fulfill the duty to assist. The VA does not have a duty to assist you if you choose a higher level review after the VA denies your claim. The BVA does NOT have a duty to assist you if you file an appeal to the BVA. The BVA could see a glaring evidentiary omission in the record and are not required to do a darn thing about it. So much for a Veteran-friendly non-adversarial claims process. There are no remands at the BVA, except for remands from the BVA to the VA’s “AOJ,” or Agency of Original Jurisdiction. What this means for your VA Claims and Appeals. I’ve said it before and I’ll say it again: don’t count on actual assistance from the VA’s Duty to Assist. Most of the time, they do little more than send a couple letters to doctors, sometimes get all of your service records, and occasionally ask the JSRRC to corroborate a stressor event for a PTSD claim. Veterans are better off helping themselves. It’s easier than you think. Follow the 8 Steps to Improve Your VA Claim or Appeal. You can read about all of the steps here, but the driving theme is that Veterans can – and should – take back the power in their own VA claims and appeals. By taking back the power, we take back control of the outcome, and we have the power of choice. We can choose to get in the hamster wheel and stay there until the VA decides they’ve spun you around enough. Or, we Veterans can choose to get the evidence we need to prove our own claims. We can assist ourselves rather than wait on the VA to fulfill its duty to assist. 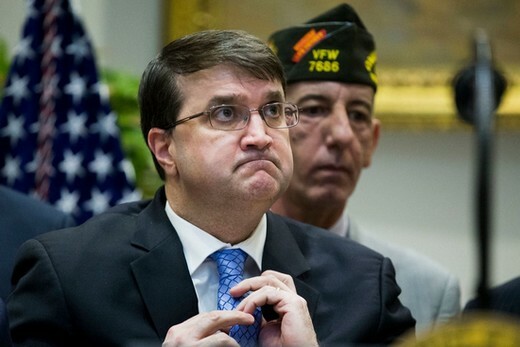 Secretary of Veterans Affairs Robert Wilkie commended the Veterans’ Family, Caregiver and Survivor Federal Advisory Committee on March 27 for recommendations that will assist in the department meeting its commitment to improve the experiences of all those it serves. 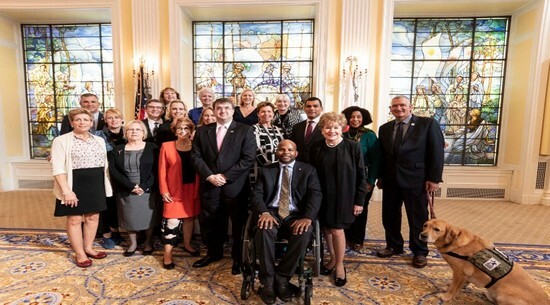 The committee, chaired by former U.S. Sen. Elizabeth Dole, a noted advocate for military caregivers, offered cross-cutting recommendations addressing several areas that affect Veterans’ families, caregivers and survivors. The recommendations range from an effort to identify all federal programs available to Veterans and their families, caregivers and survivors, to increased coordination in resource distribution to those who require them most, as well as implementation of the expansion of caregiver stipends with more standardization. Establishment of the Center of Excellence for Veteran and Caregiver Research. Creation of the Veteran Family Community Engagement Directorate. Distribution of the specific “quick start guides” for caregivers and survivors as part of the national Welcome Kit. The committee advises VA’s Secretary, through the Chief Veterans Experience Officer, on matters related to Veterans’ families, caregivers and survivors across all generations. A key element of the committee’s work is to engage Veteran family members, research experts and family service providers to better understand their needs and identify ways VA can provide them with a positive experience in their use of care, benefits and services. Learn more about VA’s support to Veterans’ families, caregivers and survivors through the VA Welcome Kit, which includes a “quick start guide” for caregivers.